Softball Valley Park to HQ is approximately 6.2 km (if map fails to load try refreshing the page). This is the finish for the 50 km runners. 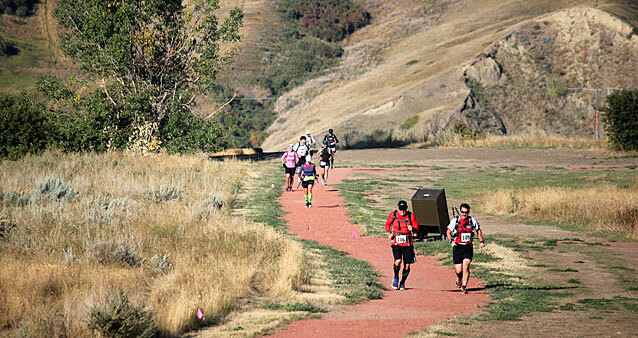 100 km runners skip the south loop and head back to Softball Valley. 100 mile runners must complete the entire course three times so head off for the South Loop.